Planning a teen boy’s 16th birthday party can be quite the challenge, since most teen boys aren’t really into party decorations, fancy cakes and balloons. However, there are many ideas to create a memorable 16th birthday your son will remember for years to come. From budget-friendly to over-the-top, there are many ways to celebrate your son’s 16th birthday. Plan a dinner party at a local sports restaurant where the boys can talk and watch sports. If you want to make it a surprise, call up your son’s friends and tell them to meet at the restaurant at a certain time. Then you tell your son that you would like to take him to eat for his birthday and you want to take him to a certain restaurant. When he walks in the restaurant, have the host lead him to his own party table that he will know nothing about. If he will not be too embarrassed, have a cake, balloons and few decorations for the table. If budget allows, rent a limo for a few hours for the birthday boy and some of his close friends. Let the limo take the boys to a restaurant, movie and the mall. 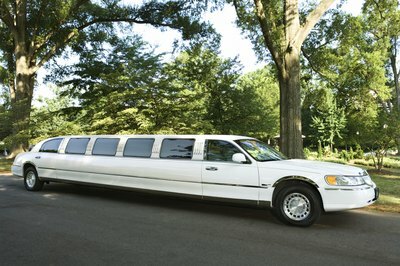 The boys will enjoy listening to music and sharing stories in the limo. Get permission from the limo owner to place large posters on the side of the limo that wish the guest of honor a happy birthday. Throw your 16 year old a dance party, especially if the party is going to be coed. Hang a few decorations and a disco ball in the middle of the party area. Tape off a designated dance floor and let the party guests dance the night away. If budget allows, hire a DJ to play some music or get a neighborhood friend to setup a stereo and play some of your birthday boy’s favorite music. Have a dance contest and award prizes, such as iTunes gift cards and fast food gift cards, to all winners. Rent two hotel rooms, one for a couple of adult chaperones and one for the birthday boy and a few of his closest friends. Select a hotel that has an onsite swimming pool for the teens to enjoy. If the hotel has an on-site restaurant, the teens can enjoy a birthday dinner for the guest of honor. If the hotel doesn’t have eateries, let the teens order pizza or Chinese food. Find a hotel within walking distance from a mall and the teens can walk around the mall.